(i) The Observatory has set up backup weather stations and anemometers in some areas. When the main weather stations or anemometers in those areas are under maintenance, the webpage will display data from the backup stations or anemometers. (ii) Move the mouse cursor onto the place of your choice to see the values of wind direction and speed. 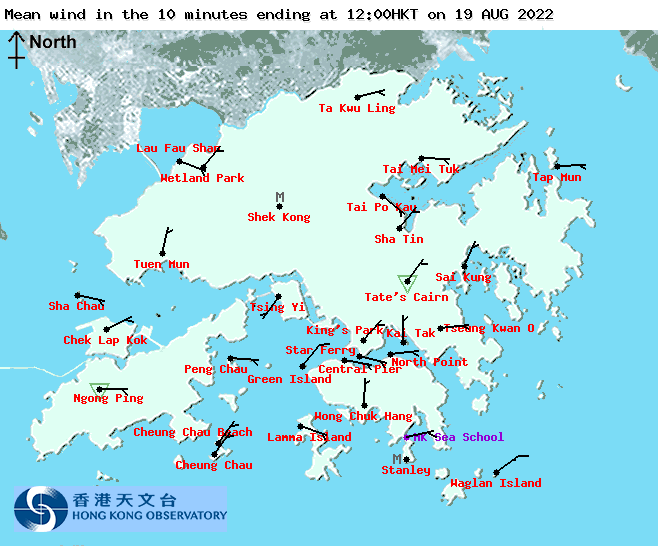 Click the mouse once you will see a time series plot of the variation of wind direction and speed in the past 24 hours, as well as information of the station in operation. (iii) The data displayed is provisional. Only limited data validation has been carried out.